How does the certificate help you? 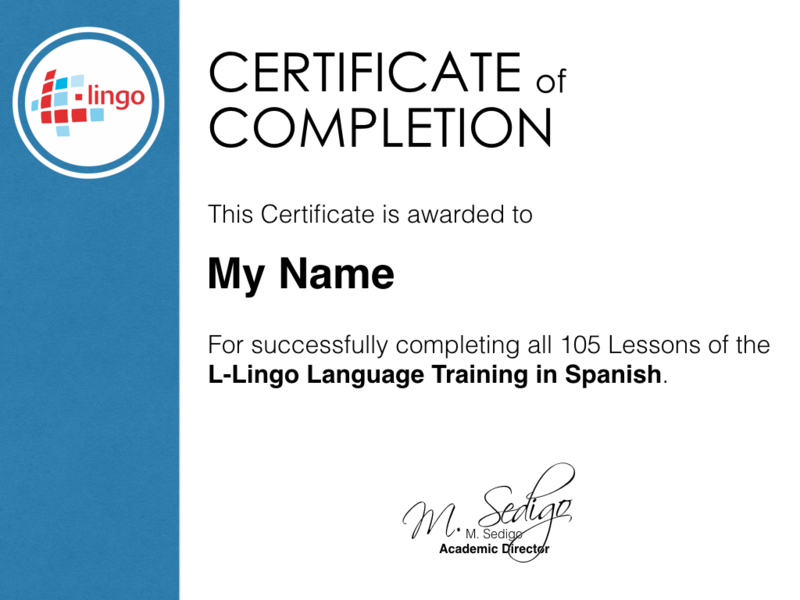 It is a great motivator to complete the course and to really learn the language. We all know how hard it is to stay motivated to study every day and the expectation to get a nice certificate at the end of the course can really bring you over the finish line. Show the certificate to your loved ones to get recognition for your hard work and you can also add it to applications for Jobs or give it to your employer -especially if you work in an environment where knowing foreign languages is important. Once you completed all lessons with >90% correct, send us a short message with your full name and we will then send you the certificate within a few days.